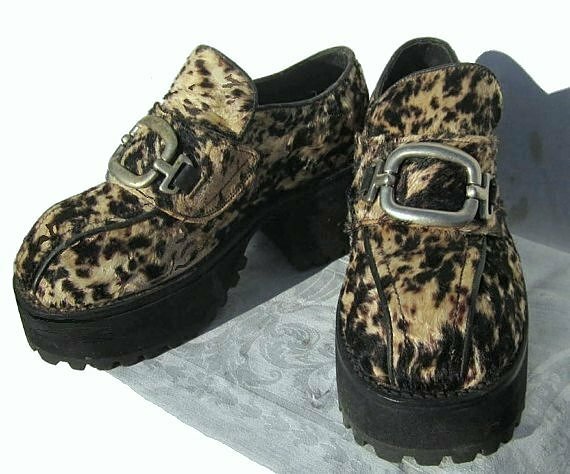 These repro platforms have a leopard or cheeta print upper than may be made out of pony hair. There is a hint of mothing in areas. Not visible from a few feet away. The shoes are quite heavy. The bottom sole is a rubber tire tread type substance. The nevr worn shoes by Muro are the bomb. They are a US 7.5 approximately. The innersole is approximately 9 7/8" long for a 9.5" foot. The width is 3.75" - 4". The shoes are around 19 years old. The toe area reminds me of a steel toed boot. 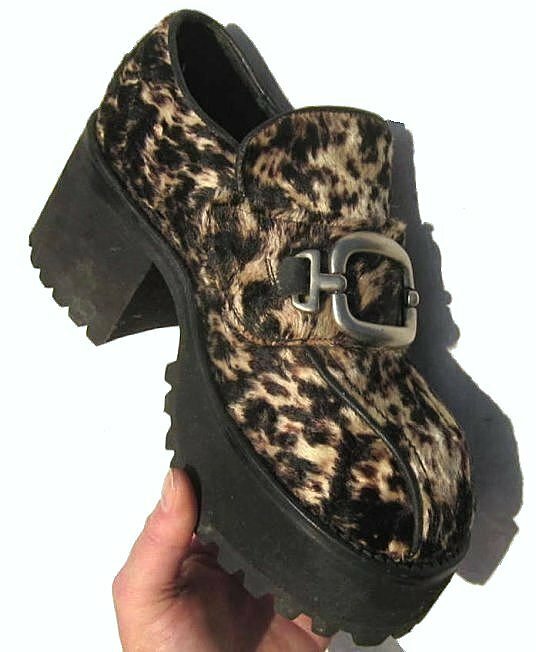 The shoes are an approximate women's size 8. A 9.5" foot when standing on a tape measurer. Sale is Final at this time of year.